In documents recently acquired by news agency New Scientist and reported by Gizmodo, NASA will be working with billionaire entrepreneur and physicist Yuri Milner to launch the first ever private deep-space mission. This project will look for life, if it exists, on Saturn's moon Enceladus. According to the documents, NASA and Milner's non-profit Breakthrough Starshot Foundation will be working on scientific, technical and financial plans for this mission. NASA has committed over $70,000 to produce a concept study for the flyby mission. This money won't be paid to Breakthrough but represents the agency's staffing costs for the project. 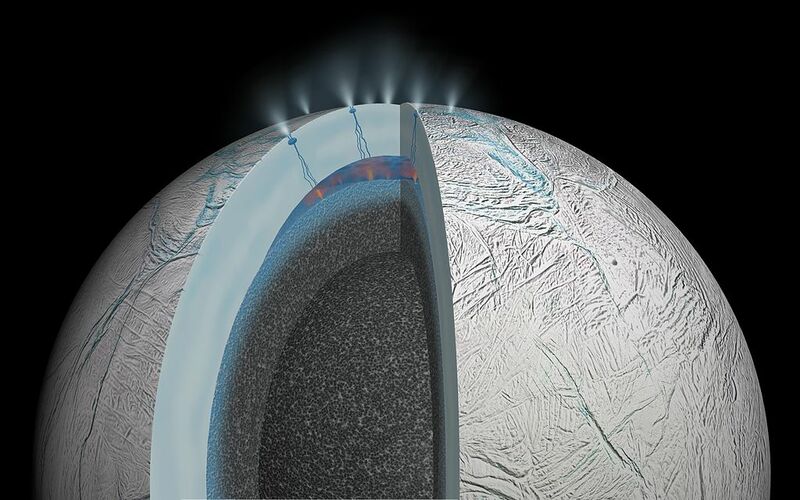 Breakthrough Initiatives would lead and pay for an Enceladus fly-by mission, with consulting from NASA. Icy moons throughout the Jupiter and Saturn moon systems are thought of as potential candidates for alien life. Jupiter's moon Europa has evidence of water in the form of plumes spewing water vapour out of the cracks on its surface. Similarly, Enceladus has evidence of a warm ocean and even complex organic molecules. All of this data was obtained during the Cassini Space mission funded by NASA and ESA. Even though it orbits Saturn which is even farther from Earth and Jupiter, life may have evolved deep within the moon around heat emanating from volcanic vents.